Bernardino Jacopi Butinone, called Bernardo da Treviglio (also as Buttinone), Italian painter, active in Lombardy. He was the son of Jacopo da Treviglio, and the pupil of Vincenzo Foppa. He worked together with an other pupil, Bernardo Zenale. He was influenced by Mantegna. 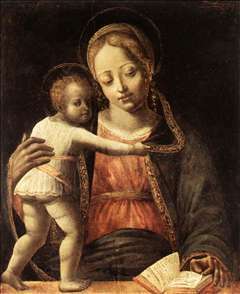 He was the tutor of Bramantino.